What is the most budget friendly method to create another access point for a wifi limited room? Or use WiFi repeater in other room. What router are you currently using ? 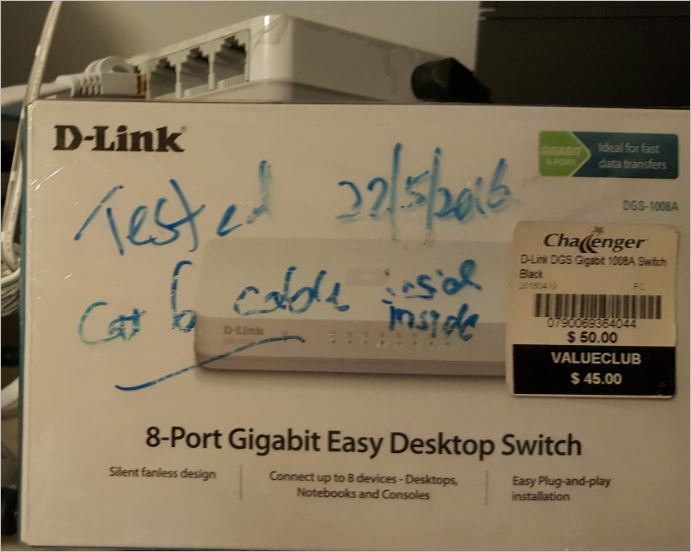 I would assume unmanged switch is a gigabit desktop switch? For me, i use powerline to extend my existing Access point in my house further to my Master bedroom( 4 room Flat). Either use back existing Access point or new Access Point. If not, you have more cash. Wifi Mesh would be the way. More stable. Last edited by chowhong; 14-02-2019 at 04:47 PM..
Modem/ONT --> Router --> lan cable --> desktop switch --> PC | Router AP mode. The main router is in the living room and desktop switch is in the bedroom with router wireless coverage for phones.